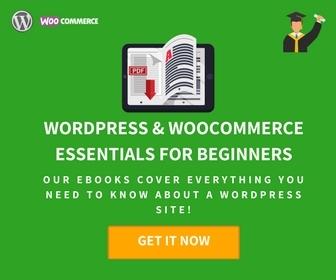 The article is a review of Currency Switcher for WooCommerce. The name itself tells the story. Yes, you guessed it right, this currency switcher by Aelia converts the currencies according to the location and choice of your customer. But there is more to tell about the plugin. Let’s explore more. Why Currency Switcher for WooCommerce? Did you know, one of the reasons Amazon uses separate websites for different countries is letting its customers buy and sell products in their native currency? Now consider yourself selling a High-tech Quadropter from your London based online store, and price showed on your website is in £. Given that fact, any student in India, who wants to buy that Quadropter might take only a few seconds to abandon the cart. And that will be because he is not sure if he will be able to pay for it in £. 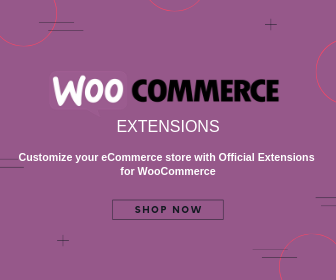 In any such case, you can use Currency Switcher for your WooCommerce store to let your customers see the product price in their native currency and to complete the transaction in the currency chosen by them. What you achieve using this plugin is cart conversion. You don’t lose customers just because they don’t have the option to pay in their native currency. So now you can actually consider yourself a business that sells everywhere! The plugin uses a Product Base Currency, which you can set even at the individual product level. This base currency gets converted according to the conversion rates of your customer’s location. For instance, in the screenshot below the base currency is $ and is enabled automatically using your WooCommerce settings. In the exchange rate setting section, you can manually assign an Exchange Rate rate or leave the box empty for automatic exchange rates. In case you choose to automate the exchange rates, you can set the update frequency and the exchange rate provider. You can also have you open exchange rate API keys enabled here. Note: Here you must ensure that you are putting the product prices in the same currency as that of the product base currency. A Currency conversion fee is charged when your customer wants to convert the transaction to their native currency. For instance, if your store’s native currency is $ and the customer want the transaction in Rouble, he will be charged a currency conversion fee for this Dynamic Currency Conversion or DCC. With this plugin, you can save yourself and your customers from paying a conversion fee for every conversion made. So when you use this plugin and any payment gateway which accepts currency other than it was issued for, you can expect a 60% improvement in cart abandonment. The plugin also stores order details in the currency it was executed. And this can be retrieved by both the store owner and the buyer. This feature reduces a lot of efforts as when you enable geolocation, the plugin uses the customer’s IP Address to trace their location and save it for future reference. So, if the same customer uses your website again previously used location is used. And if users wish to change the location, they can do it through the widget that they get on the right side of the screen. GoeLite data created by MaxMind is used in this feature. This option appears in the product level setting. You can customize each product for its price in different currencies. 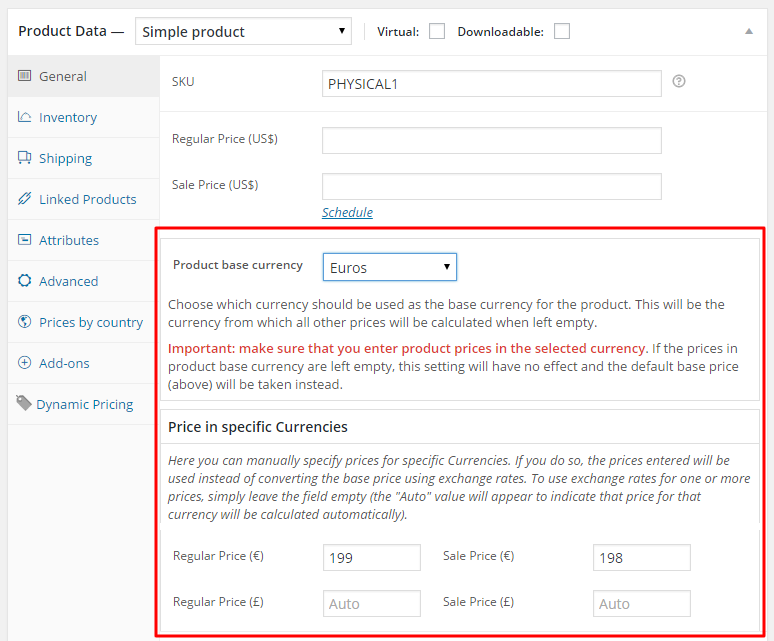 Which means you can manually assign a product price in different currencies here. The screenshot below speaks volumes about this feature. The plugin takes care of the coupons as well. In the Multi-Currency-Coupon section, you can manually configure the coupon parameters. You can use either of percentage or any amount as the coupon parameter. For example, you can use $10 of a 10% off. You can configure the same for all available currencies you are offering to your customers. If you leave the fields vacant, the parameters will be populated automatically based on your existing settings. You can select all the payment gateways that you want to accept the particular currency. So for instance, your Paypal payment gateway is not accepting Taka, (the currency of Bangladesh) you can remove it from Taka’s section and add the payment gateway which accepts it. You can add multiple payment gateways to multiple currencies. Thus making the plugin very flexible with accepting payments in different currencies. Note: Before adding any payment method to a currency, make sure that the payment gateway accepts that particular currency. This will save you from unforeseen troubles. You can visit Troubleshooting Payment Gateways for issues related to payment gateways. The widget appears on your website page and allows your customers to choose from the drop down of all available currencies you accept. You can enable this option from the settings section of the plugin. Here you can also select if you want to enable/disable Force Selecting of Billing or Shipping country. If you enable Force Select, the option selected in the Currency Selection Widget will be overridden by the plugin. So it is wise to disable the currency selection widget if you are using the Force select feature. Aelia develops plugins with GPL licence. This means you get a great amount of flexibility in their usage. 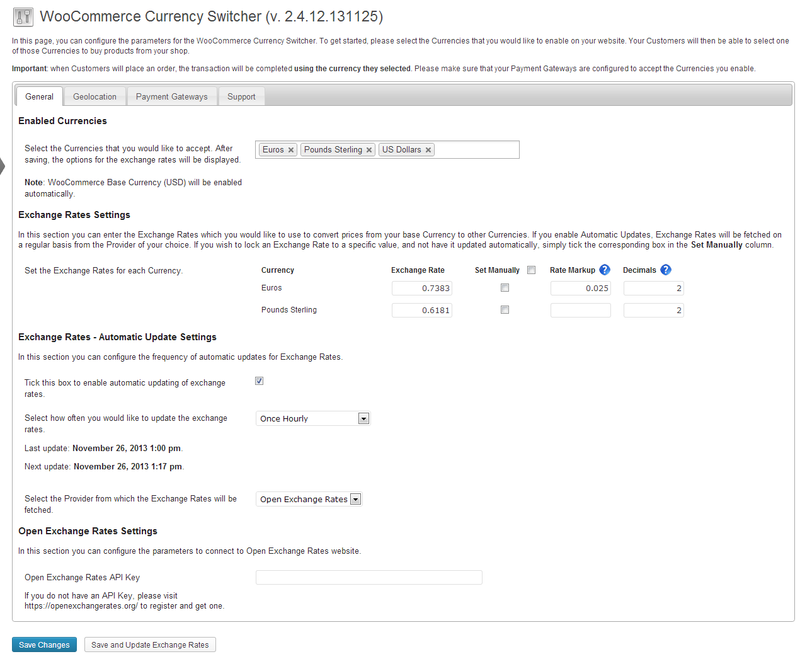 Here is what you get when you use Currency Switcher for WooCommerce by Aelia. You can rightfully install and use the plugin on multiple sites even without entering the licence key to all of them. Though, the license gives you access to use it on multiple sites, you will get support and updates for only for one standalone site per licence. 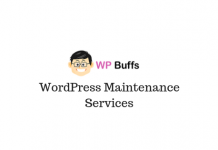 But if you buy the plugin for multiple sites, you will receive the updates and support for each of them. And if you felt the plugin is not what you need, you are protected by a 30 days Money Back Guarantee. You can manually install the available updated versions too. You can find more information on installations, troubleshooting, customizations, and FAQ in their knowledge base. The Currency Switcher is now made compatible to support two popular shipping plugins – DHL Shipping Plugin and FedEx Shipping Plugin. 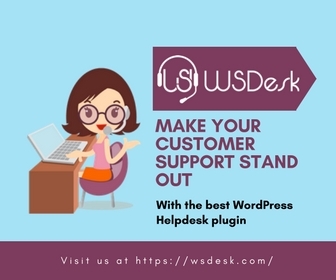 The plugin gives you free integrations with some of the most popular WooThemes plugins, such as Product Add-ons, Dynamic Pricing, Subscriptions, and more. 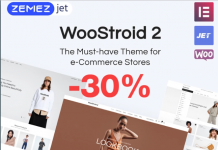 It is also compatible with all the WooCommere plugins by Aelia. With very few currency converters around, this plugin saves your day with its ease of use and expands of features. You can show rates based on customers location automatically, complete transactions in any currency and even transform the coupon currencies. Not only this you specify payment method to currencies. And you get all of these flexibilities just by installing this currency switcher. Here is a Hot Deal: Purchase Currency Switcher for WooCommerce before May 30th, 2018 and get 15% off on the plugin through our exclusive deal.